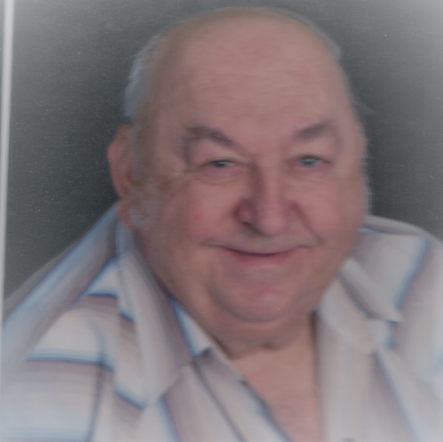 Robert M. "Jack" Sentz, Jr.
Robert M. “Jack” Sentz, Jr., 77, of Littlestown, died early Saturday, June 30, at his home. He was the husband of Doris (DeGroft) Sentz for 59 1/2 years. Born July 30, 1940 in Gettysburg, he was the son of the late Robert M., Sr. and Estella (Koontz) Sentz. Jack retired from Lippy Trucking of New Oxford in 2013. He drove truck for 50 years. He was a member of Gates of Praise Worship Center in Littlestown. Surviving in addition to his wife are his six daughters: Cheryl Sentz of New Oxford, Pam Sneeringer and David of New Oxford, Diana Feeser and Dale of Westminster, Lisa Plank and Steve of Littlestown, Sandra Hawn and Mark of Hanover and Melissa Riley of Gettysburg; 16 grandchildren, 13 great grandchildren and his sisters: Thelma Heaps and Linda Ross, both of York. Jack was predeceased by his son, Robert Irvin Sentz, Sr., brother Charles Sentz and sister Mary Wolfe. He enjoyed farming, mowing grass at his church, loved his cats and spending time with his family. Viewing is Monday, July 2, at Little’s Funeral Home, Littlestown from 6- 8 P.M. Funeral Service is Tuesday at 11 A.M. at the funeral home with The Rev. S.A. Garrett and Steve Plank officiating. Interment is in Marburg Memorial Gardens, Hanover. Memorials in Jack’s name may be sent VNA/CHS, 440 N. Madison St., Hanover, PA 17331 or his church @ 500 Baltimore Pike, Littlestown, PA 17331. Online condolences may be shared on www.littlesfh.com. I'm so sorry for your loss. It's never easy losing a loved one, but just keep in mind that he is now in the arms of our Lord, and will be watching down to keep you all safe. I keep you in my thoughts and prayers. I’m sorry to hear about the passing of Jack. Thoughts and prayers through this time of grieving. Very sorry to hear of your loss. He will be missed.